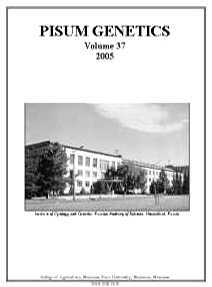 Cover: Pictured is the main entrance of the Institute of Cytology and Genetics of the Siberian Division of the Russian Academy of Sciences. The Institute, founded in 1957, was among the first of the institutes constructed at the NovosibirskScientificCenter just outside of the city of Novosibirsk. Traditionally, the Institute has five areas of research: molecular genetics, cytogenetics, plant genetics, animal genetics and physiological genetics. The research performed in these areas has two underlying themes. One is the elucidation of the structure and function of genomes, and the other is the understanding of the laws of evolution and selection. Our members are housed on the second floor of this building, and greenhouse facilities are attached in the rear.